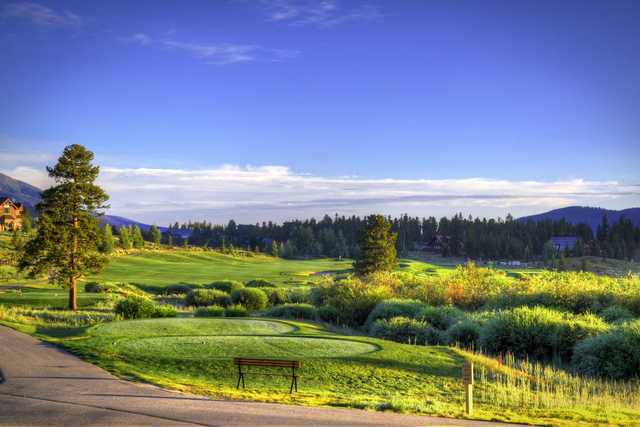 The 9-hole Elk Nine at Breckenridge Golf Club in Breckenridge, CO is a public golf course that opened in 2001. 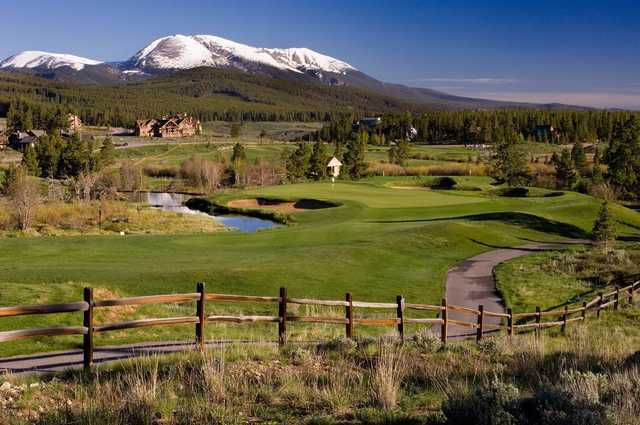 Designed by Jack Nicklaus, Elk Nine at Breckenridge Golf Club measures 3556 yards from the longest tees. The course features 5 sets of tees for different skill levels. The greens are bent grass and the fairways are blue grass. Our annual Colorado Golf Binge group of 8 guys played Breckenridge this year for the first time in several years. What a great public course this is. Our weather was threatening but the rains held off until we were about to get our lunch of the patio. This Jack Nicklaus designed 27-hole public course sits beautifully at 9,324’ above sea level. Breckenridge is a charming Victorian town most known for skiing but has increasingly become a popular destination for that perfect summer or fall get away. What better way to enjoy the beauty of the Colorado Rockies than to play 18 or 27 holes on a great golf course without breaking a sweat? Elk is the newest and most challenging of the three nines at Breckenridge. 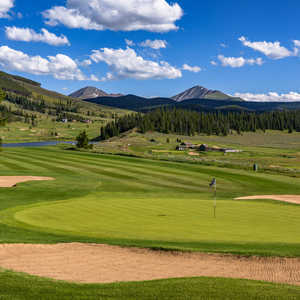 Playing the par 72 Elk/Beaver is probably the toughest public golf in Colorado measuring 3,556 yds on Elk and 3,564 yds on Beaver for a 7,120 yd total and a 72.8 rating with a whopping 146 slope from the Gold tees. The Elk course has some wild holes. The wildest are the par three downhill 5th, then uphill par 4 6th followed by the blind dogleg right downhill par 4 7th. Get through those three in par and you’ve earned a Rocky Mountain High! The Bear course plays at the lowest altitude along the entry to the course. Hole #9 is a long and very challenging par 4. We played the silver tees and this hole was tough even from silver. Breckenridge Golf Course is walker friendly. The greens are every bit as good as could be expected in these high altitude conditions. The fairways are near perfect even though Breckenridge Golf Club has finally dropped their carts on paths only policy to the pleasure of many players visiting from lower elevations. 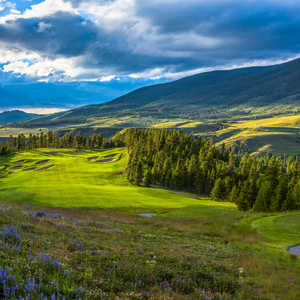 You’ll want to bring your camera to capture the beauty of Breckenridge’s lush bluegrass fairways, beaver ponds, meadows, wildflowers, wildlife, pine and aspen forests and the backdrop of the snowcapped Ten Mile Range, Mt. Baldy and Buffalo Mountain. 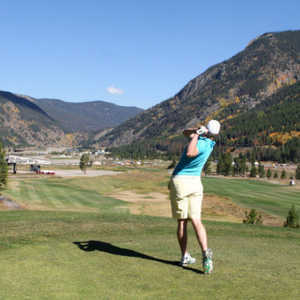 And, of course, the famous Breckenridge Ski Resort is clearly visible on many of the holes (see photo). The practice facility is also excellent so arrive early and get a feel for launching your ball through thin mountain air. Lodging and great bars and restaurants are plentiful in Breckenridge and throughout Summit County. PGA Professional Erroll Miller is very accommodating to visiting golfers. Including Texans! Give yourself time for a great 18 or 27-hole day at the only 27-hole municipally owned Jack Nicklaus-designed course in the world. It’s a “must play”.